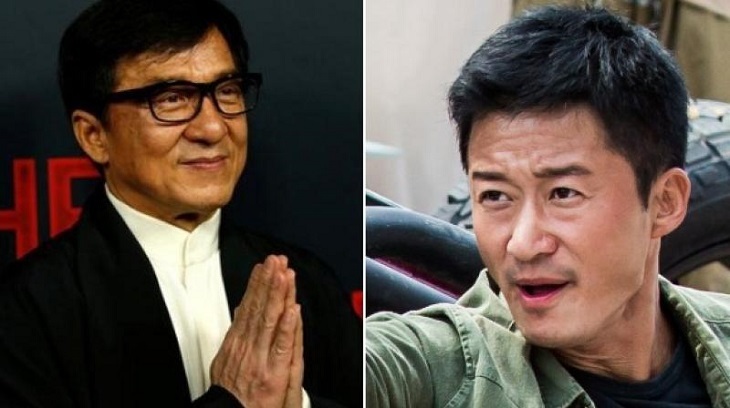 The biggest action stars Jackie Chan and Wu Jing are coming together in an upcoming action film tentatively titled 'Climbers'. The two are set to star in the epic action film which tells the story of the first Chinese mountaineers to summit the world's tallest peak, The Hollywood Reporter confirmed. The upcoming film will dramatise the real-life expedition of Chinese mountaineers Wang Fuzhou, Gonpo and Qu Yinhua, who made a historic ascent up Mount Everest's North Ridge in 1960. The Chinese team was the first to successfully climb Everest's north side. The group left a small statue of Chairman Mao atop the summit, before returning midway down to rescue a fourth member of their team who was unable to complete the climb. Wu broke out as a huge A-list actor in China in 2017 after the success of military action flick 'Wolf Warrior 2', which he wrote, directed and featured in. The film earned USD 870 million and remains one of the biggest China's blockbusters of all time. Wu returned to the silver screen in February as the star of 'The Wandering Earth', China's first sci-fi blockbuster, which earned USD 655 million. The film is currently being shot in China and is expected to hit the big screens either on China's patriotic National Day holiday or during Chinese New Year in 2020. The two stars were last seen together in the 2011 film 'Shaolin'.